No. 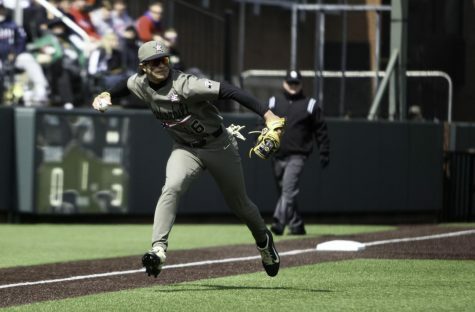 15 Vanderbilt defeated fifth-ranked Ole Miss 8-7 in the second, seven-inning game of a Sunday doubleheader. 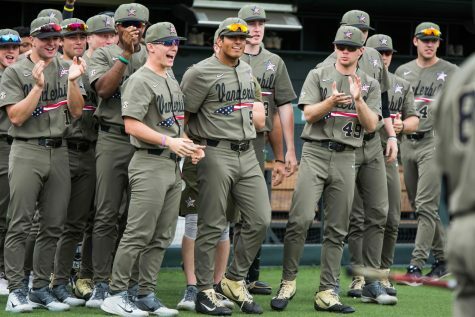 With a passionate crowd braving the cold to cheer on the Commodores, the squad gutted out their second win of the day in another back-and-forth contest. 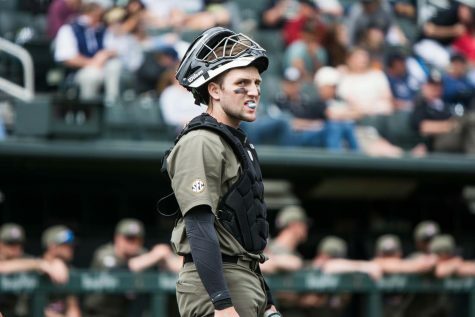 “Every time we were down, we never felt like we were out,” said catcher Ty Duvall, the breakout star of the game. Ole Miss scored an early run off Vanderbilt starter Mason Hickman. Grae Kessinger walked before Ryan Olenek hit a double to left field. Thomas Dillard grounded out to bring Kessinger home and give the Rebels a 1-0 lead in the first inning. Ole Miss right hander James McArthur made quick work of the Vanderbilt offense in the bottom of the first. Starting with the second out in the bottom of the first inning, when Alonzo Jones struck out swinging, eight straight at bats between both teams ended in strikeouts, six of those looking. 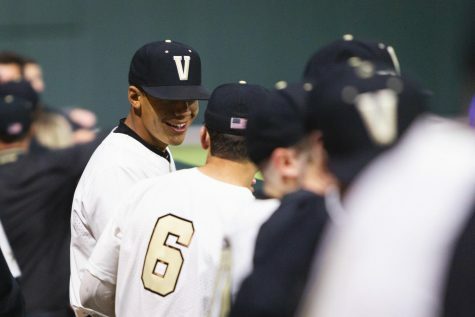 The game figured to be a pitcher’s duel until Vanderbilt charged back in the bottom of the third inning. Stephen Scott was hit by a pitch from McArthur, and Ty Duvall hit a triple to right field to score him. Julian Infante came to bat next. Infante sent a sacrifice fly all the way to the warning track in right center field to score Duvall and give the Commodores a 2-1 lead. 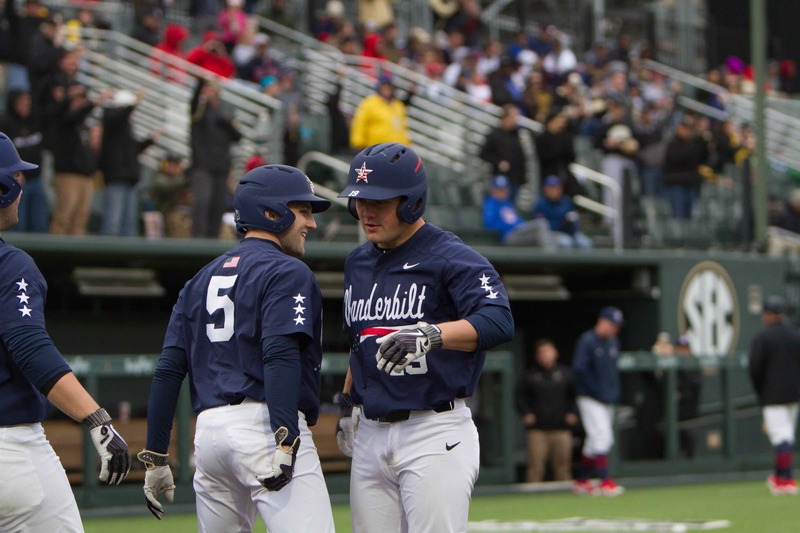 In the top of the fourth, Ole Miss’ Nick Fortes smashed a double over Alonzo Jones’ head in center field, but Hickman retired the next three batters. Pat DeMarco led off the bottom of the fourth inning with a powerful home run that cleared the left field wall and hit Memorial Gym. Philip Clarke walked, and Stephen Scott homered to right to stretch the lead to 5-1. Scott already has five homers in just 29 games this year, and he only had two all of last year when he played nine more games. Will Ethridge relieved McArthur, who ended the day with five earned runs allowed in 3.1 innings of work. In the top of the fifth inning, Ole Miss came out swinging. The first six batters reached base. Tyler Keenan led off the frame with a home run to left center. Three straight singles loaded the bases for Ryan Olenek, who singled to bring in a run. 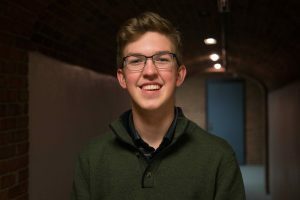 Mason Hickman was relieved by Reid Schaller. 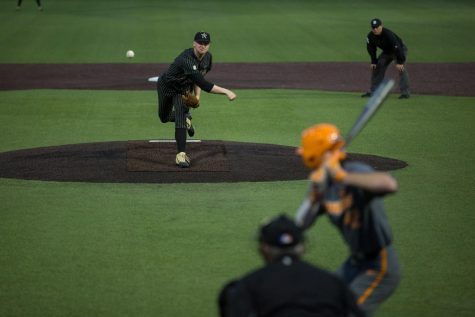 Hickman gave up five runs and seven hits in four innings. Nick Fortes doubled to score two runs and advance Olenek to third. The RBI double tied the game up at 5-5. Then, Austin Martin pulled off the “hidden ball trick” on Olenek and tagged him out at third. Martin never threw the ball back to Reid Schaller, but instead Martin kept it in his glove. When Olenek started to take a lead off of third base, Martin tagged him out. “It was just a gut feeling. I’ve never done that in my life,” Martin said of his trick. He credited Julian Infante with helping him sell the ruse by heading to the mound to talk to Schaller. Schaller was then replaced by freshman Hugh Fisher, who got the last two outs of the frame. 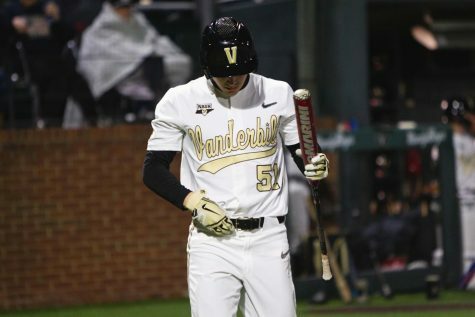 Ethridge responded by striking out the side in the bottom of the fifth, the second inning of the game in which all three Commodore batters struck out. McArthur also struck out the side in the second inning. The Rebels took a 7-5 lead in the top of the sixth. Pinch hitter Cooper Johnson hit a single past a diving Ethan Paul to drive in Will Golsan, who led off the inning with a single. Kessinger hit a single to left field with runners on the corners to score Tyler Keenan. Earlier, Keenan had walked, then reached third on Johnson’s single. Paul, Kaiser, and Infante teamed up to turn a double play and end the threat. DeMarco and Clarke both singled to the left side of the field to start the bottom of the sixth inning. Connor Kaiser bunted to advance them into scoring position. Stephen Scott walked to load the bases with one out for Ty Duvall. Duvall hit a liner along the right field line that fell fair by just a few inches. His one-out double cleared the bases to help the Commodores retake the lead 8-7. Lefthander Jackson Gillis entered the game in position to earn the save. Austin Martin dropped the ball as he was about to make a throw to first base, and this error allows Nick Fortes to reach base. Fortes stole second base a few pitches later. Fortes was caught stealing third for the second out of the inning. Cole Zabowski struck out looking at Gillis’ masterful curveball to end the game. 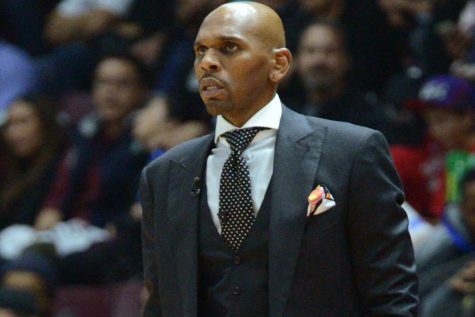 Vanderbilt hosts Evansville on Tuesday at 6:30 PM.